The train on the previous photograph is about to pass under this delightful period footbridge, albeit in modified form. I have a caravan close to here and "my little friend" and I cross here every day when we are "in residence". It really is a delightful walk, particularly in springtime, when newborn lambs are bleating in the crisp morning air and a new year awakens from winter hibernation - I wouldn't swop this for anything! 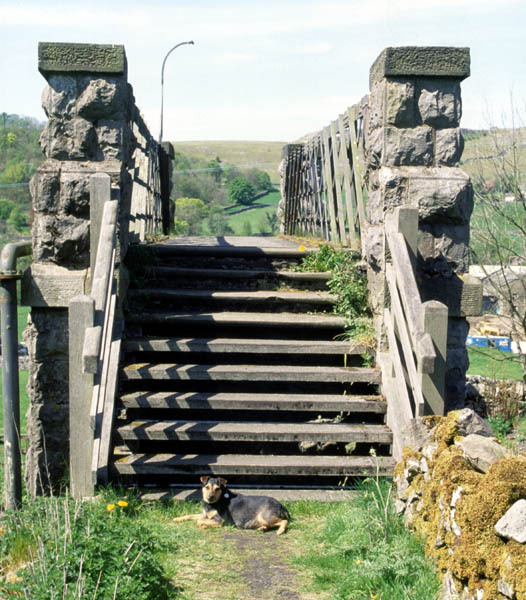 Sadly "Rosie" passed away on 12th October 2009 - we'll never cross that footbridge together again - R.I.P. my lovely little friend.